26 December 2017 — Acme Brick President and CEO, Dennis Knautz, recently announced that Senior Vice President of Sales, Bill Lemond, will be retiring in summer 2018, shortly after attaining 40 years of service. Knautz also announced that, effective Jan. 1, 2018, two long-term Acme employees will assume new roles and titles. Left: Rusty Haile has been promoted to Vice President of Sales for Acme Brick Company’s Central Division. Right: Norris Watson has been promoted to Vice President of Sales for Acme Brick Company’s Southeast Division. Rusty Haile, currently South Texas Regional Sales Manager, will become Vice President of Sales for Acme’s Central Division. He has served Acme Brick in sales and sales management for 27 years and is a past recipient of the company’s President’s Award. 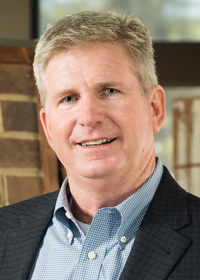 Norris Watson, Southeast Division Sales Manager, will become Vice President of Sales for Acme’s Southeast Division and will also be responsible for National Distributor Sales for brick. He recently completed 30 years of combined service to Jenkins Brick (acquired by Acme in 2011) and Acme. He has helped to align the cultures between the sales groups of Jenkins and Acme. 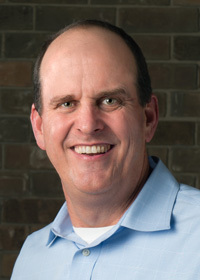 Stan McCarthy, Senior Vice President of Sales, will be in charge of Acme’s Western Division. 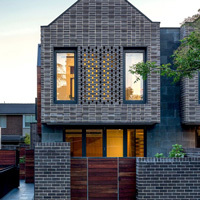 For more information about Acme Brick Company, visit www.brick.com. 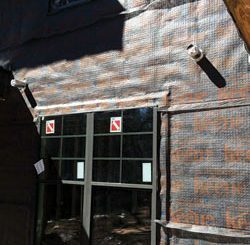 Keene Building’s Driwall Rainscreen system is a drainage mat for exterior wall systems. The entangled net product eliminates incidental moisture problems in most exterior veneer applications, including thin stone or brick, manufactured stone, and stone and brick masonry.